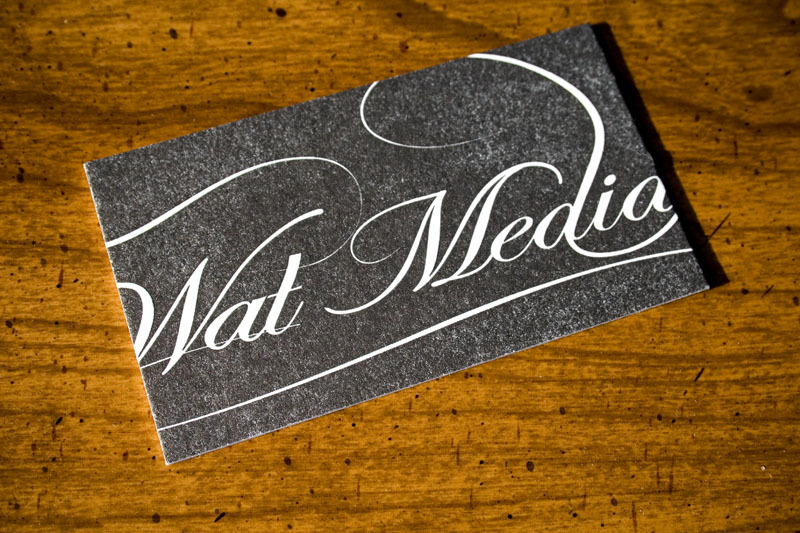 Here are business cards we printed for Wat Media, a design firm in Waterloo, Ontario. 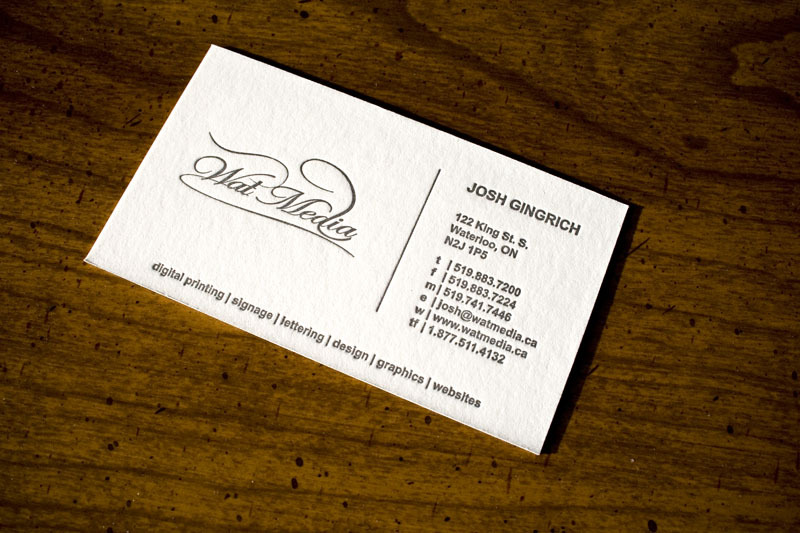 Once again we’re dealing with a flood of colour (see previous post), this time in black with white knocked-out text. Printed on fluorescent white, 600 gsm Crane Lettra.